Coswick Hardwood is pleased to announce the addition of three new designer colors to its Signature Ash collection of hardwood flooring. The new colors are in line with the latest trends for subtle, natural color tones in interior design. Adhesives used in all [our] engineered floors are 100% formaldehyde free, and our lacquer finishes contain no harmful VOC emissions.This makes Coswick an environmentally friendly flooring solution. When creating these colors, Coswick designers sought to combine grey overtones with signature hues in order to produce a unique and modern look. Pearl Grey, the lightest and the most gentle of the new colors, preserves the natural look of white ash, but adds a touch of pearly glow for a more delicate effect. Tiger Eye combines pale greys with a richer brown tone; this color is perfect for conservative interiors, as well as spaces where other elements of décor have rich and extravagant colors. 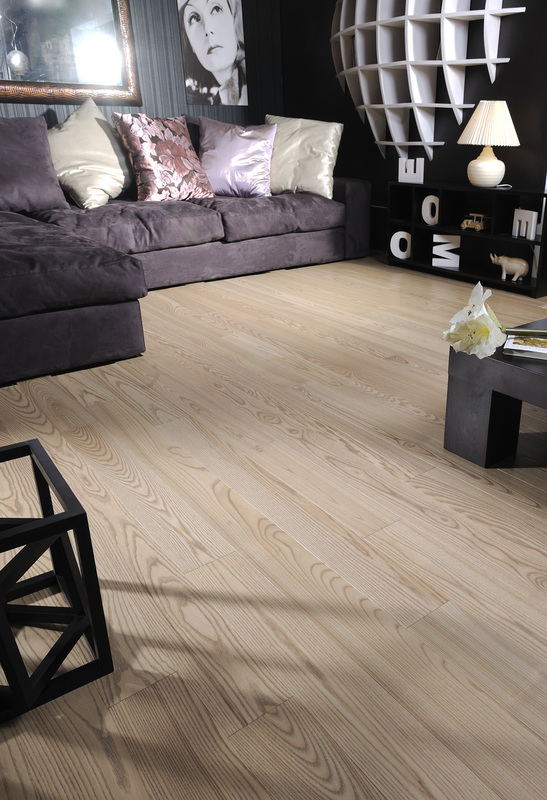 Como is a rich, dark brown that emphasizes the natural wood texture of ash. 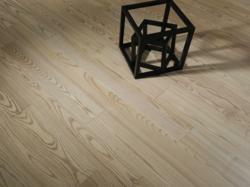 This flooring product fits well with both contemporary and traditional interiors. All three new designer hardwood flooring products come prefinished with lacquer CosNanoTech+, a lacquer finishing technology that is distinguished by superb durability and high wear resistance.Through excellent adhesion to wood, CosNanoTech+ lacquer seals wood pores, creating a perfectly smooth and fully transparent surface. 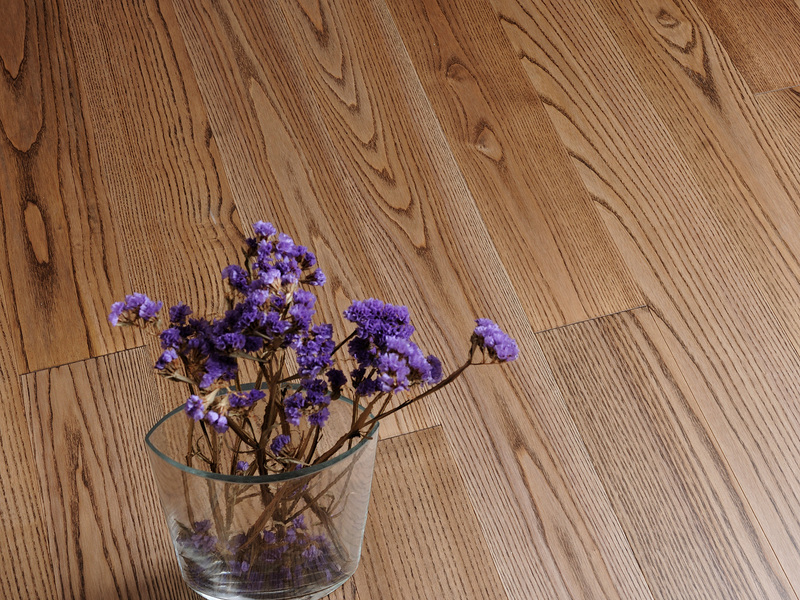 The new flooring colors have a matte finish with a very low surface sheen. The most notable benefit of lacquer matte finish is that it protects hardwood flooring while emphasizing natural richness of color and depth of wood texture. In addition, matte wood floors are easy to maintain and very forgiving, as most footprints and dust remain practically unnoticeable on the surface. 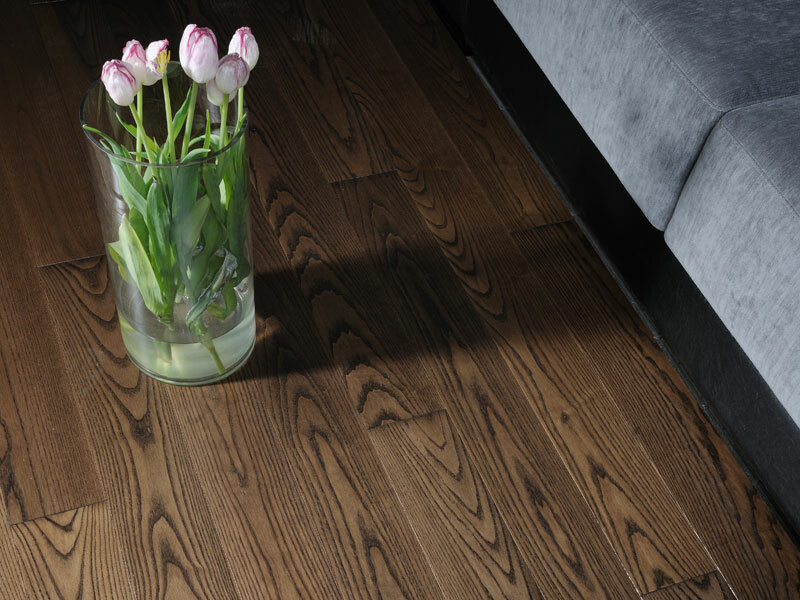 The new flooring products are manufactured as solid hardwood flooring, 2-layer engineered tongue-and-groove flooring, as well as 3-layer floating engineered CosLoc 5G flooring. While solid hardwood is perfect for homes where they can be installed on or above ground level, 2- and 3- layer engineered flooring is distinguished by superior dimensional stability and can be used in a wide range of public and residential interiors, including homes, condos, offices, cottages, restaurants etc. All Coswick lacquer floors come with a 25 year residential finish warranty, as well as lifetime structural warranty, which ensures that hardwood flooring will retain its structural integrity for a lifetime.